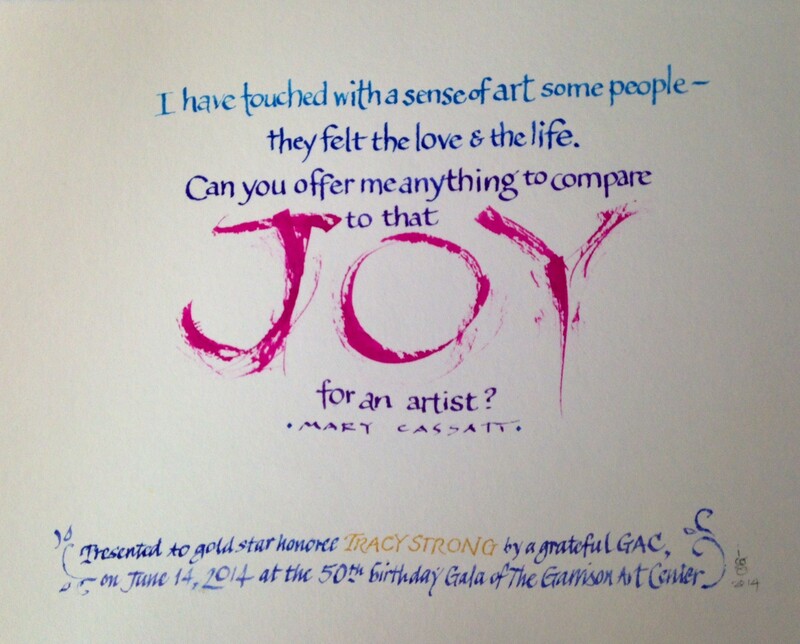 This is a week of Big Callig– I was recently asked to create the piece above for the Garrison Art Center to honor Tracy Strong , Gold Star Honoree at their 50th Birthday Gala and I was also commissioned on Saturday to design and hand-paint 18 wooden signs for a wedding this Saturday (!) So alas, all my words must be painted, not written this week. But I am thinking of my dear readers, and hope you are feeling the love, the life and the joy!